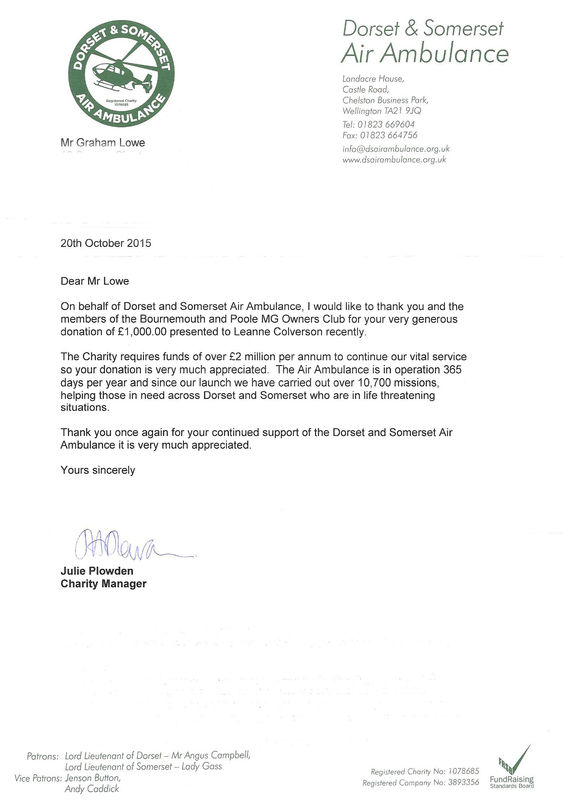 At our AGM on Monday 5th October it was agreed that we support both Dorset & Somerset Air Ambulance and Macmillan Caring Locally during 2016. At the meeting representatives of both charities were present to receive cheques for £1000.00 each, this being the proceeds of our MG Garden Party and Picnic at Athelhampton House on Sunday 9th August. 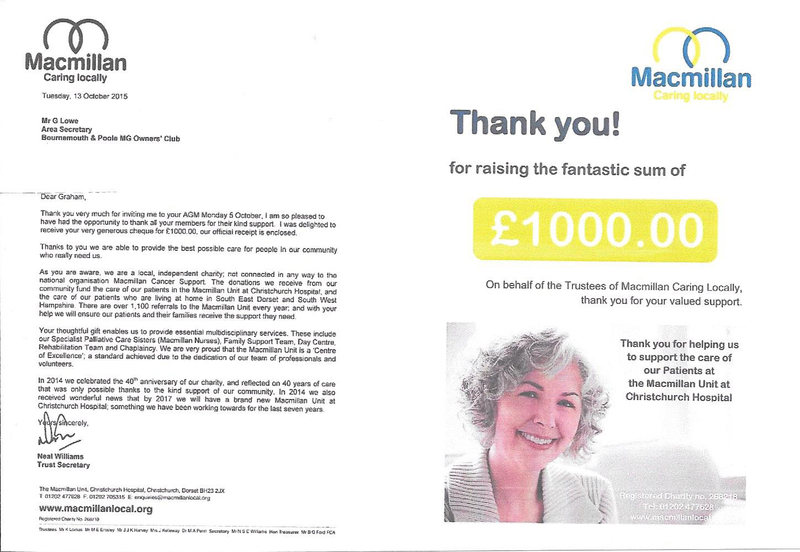 We have since received the following thank you from Macmillan. On Friday 25th September club members were invited to turn up at Hengistbury Head to assist with marshalling for the air ambulance to land as part of the National Air Ambulance week. The helicopter created great interest amongst the public and provided the opportunity to examine the facilities and capacity of the present helicopter. DSAA are due to receive a new helicopter towards the end of 2016, this will be larger, offering capacity for two stretchers, faster and able to fly at night. 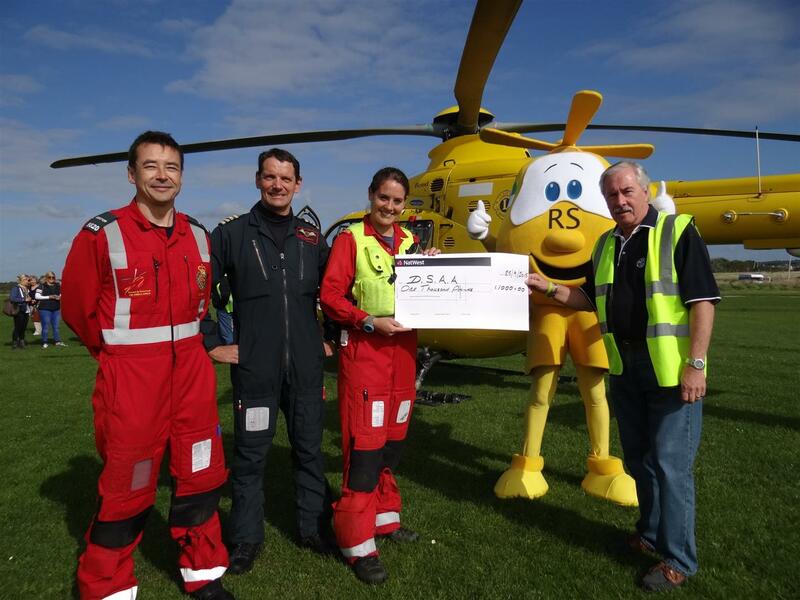 Presenting the cheque to the crew at Hengistbury Head.